Students at the beginning of their academic careers can often profit from advice from an experienced student or established professional and gain confidence in the choices they make and the skills they acquire. 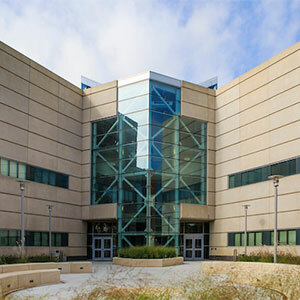 The Freshmen Mentoring Program aims to provide mentoring and support to incoming students at the University of Nebraska at Omaha College of Information Science & Technology, who seek guidance in their career and education choices, development of leadership and soft skills, professional etiquette, and other related topics. The goal of this program is to give you an opportunity to develop a personal relationship with an IT professional working for a successful company, in research, or as faculty to enhance your knowledge of the world of IT, provide support to each other and discuss ways to become successful in the IT industry. The mentoring commitment is from September to April, meeting at least once a month with your mentor. You can discuss questions and issues with your mentor, seeking insight into how a career in IT is formed and sustained. Learn about the mentor's background, the positions they've filled, etc. Work with your mentor to understand workplace behaviors, such as how to run a meeting, how to lead a difficult discussion, etc. Attend organized Freshmen Mentoring Program events with your mentor. Still unsure? Sign up anyway! If you're not sure if a career in IT is right for you, talking to somebody with more experience will probably help you find out if that's really the case or not. You may also discover there's a huge variety of different jobs in IT and most of us have felt uncertain about it at some point. The program runs from September through April. We are looking for mentors with a variety of backgrounds and positions to join our program. Our mentees are interested in IT professionals in the industry, faculty members, researchers, upperclassmen, graduate and PhD students. The program runs each academic year from September through April. Main recruiting occurs in August and early September. Answer questions regarding your background, the positions you have filled, etc. Coach the mentee on work place behaviors, such as how to run a meeting, how to lead a difficult discussion, etc. What do I have to do as a mentor? What will I gain from being a mentor?